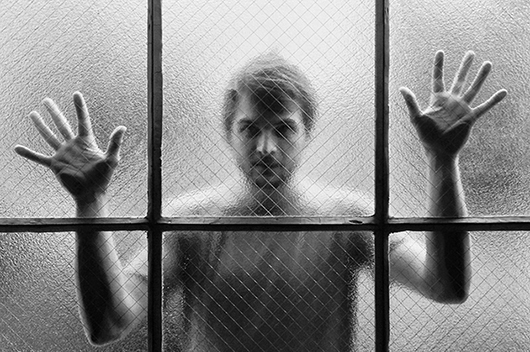 At number 18 I am going for another instrumental – ‘Says’ by Nils Frahm. Now I know what you’re thinking – nine minutes of a guy with headphones playing a keyboard, life’s just too short – but once it gets going all sense of time is lost and if you think you know where it is headed after a few minutes, you’re wrong. I first got into Nils with his Screws album (available for free here) which he wrote and played whilst recovering from a broken thumb, with necessity being the mother of invention of some beautiful melodies. However on the excellent Spaces album, out last month, he has both hands in full effect. The only reason it’s not my number one is that I only heard it for the first time two weeks ago, and didn’t want to skew the list to things that are top of mind. Afterwards, scroll down for Andy and Roy’s number 18s..
A track that takes 4 minutes to get going is getting far too close to Rick Wakeman territory for my liking – but interesting nonetheless in a subdued Mogwai sort of way. Hollie Cook…….unfortunately there’s also Kelly Osbourne & Sean Lennon ! Having initially ‘missed’ Kraftwerk (and before Tubeway Army) ‘Life In a Day’ is the first properly ‘electronic’ song I remember buying. Rich – i couldn’t get beyond 4 minutes! I did sit and watch the Simple Minds clip, though- happy days! and again Roy, you win for no18. The 19s – Andy’s choice gets my vote, and Roy, i didn’t get beyond 30 seconds on your choice. can never be anything but an old fashioned rock chick! I wonder if anyone did actually make it beyond 4 minutes! Will have to check the site stats. The Simple Minds clip is indeed a gem.